Small: Collar is 15 inches in circumference. 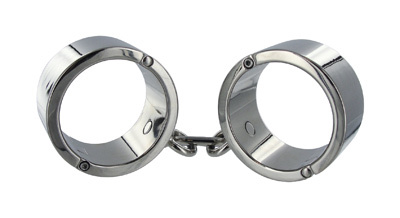 Wrist cuffs are 6.75 inches in circumference. 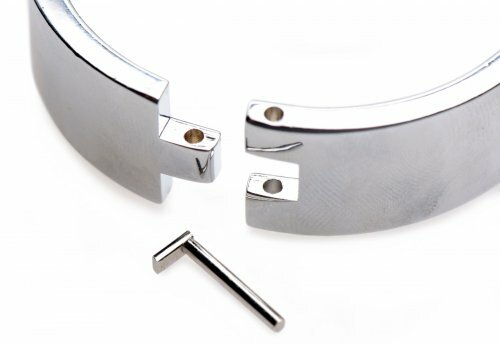 Ankle cuffs are 7.25 inches in circumference. All cuffs are .75 inches in width. Length of collar chain is 12.5 inches. Length of each wrist chain is 6.75 inches. Length of chain between two rings is 30.25 inches. Length of each ankle chain is 6.75 inches. 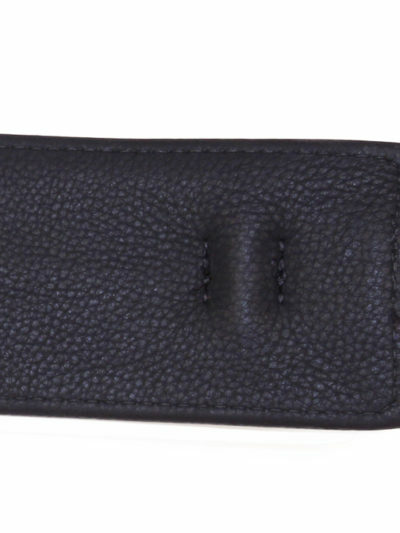 Large: Collar is 17.5 inches in circumference. 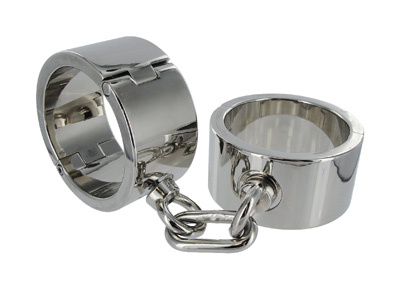 Wrist cuffs are 7.25 inches in circumference. 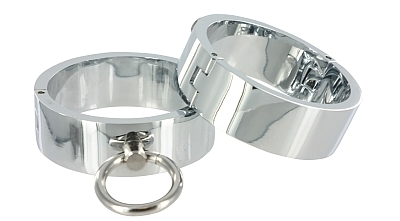 Ankle cuffs are 8.5 inches in circumference. All cuffs are .75 inches in width. Length of collar chain is 12.5 inches. Length of each wrist chain is 6.75 inches. Length of chain between two rings is 31.25 inches. Length of each ankle chain is 6.75 inches.